I went to see my dermatologist last month for my 6 month post-roacctuane check up and no further appointments had to be made- I'm officially dismissed! In my last roacctuane post, I gave an overview of how my skin was on the drug, as well as all of the side effects I experienced throughout 5 months of treatment. So, today I thought I'd give you an update on how my skin has continued to improve since November 2013. 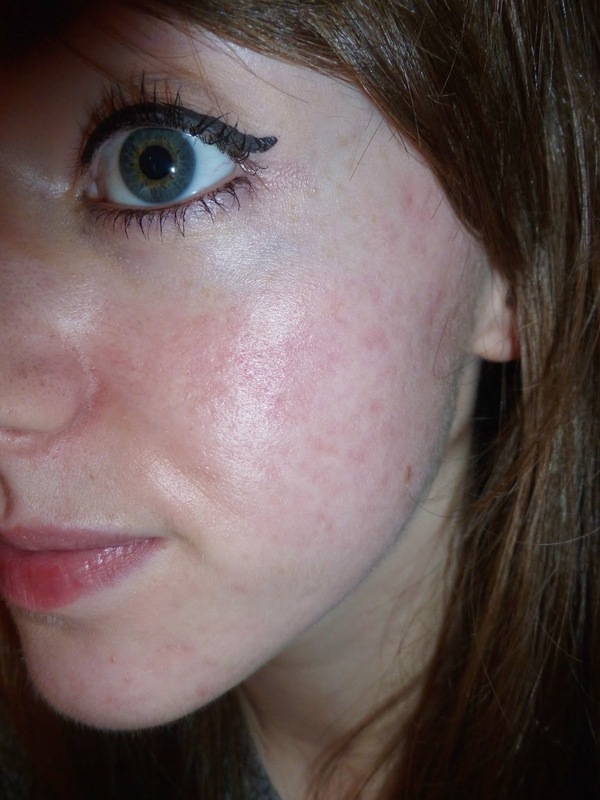 Above are photos of my skin on the last day I took Roaccutane on the 9th of November 2013. As you can see in both photos, my skin was completely clear of any active breakouts, except from lots of red scarring left over from previous breakouts. Around a week or so after coming off the drug, my lips were no longer dry and today I can get away with only applying Vaseline in the morning without having to re-apply during the day. 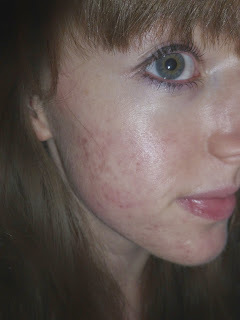 As for my dry skin, after about a month post-treatment, my skin was back to its usual oily self pre-roacctuane. After battling with oily skin for most of my life, being on Roaccutane made me realise how having a skin type on the other end of the scale is actually just as challenging to control compared to my oily skin type. I have now swapped a travel size moisturiser I used to hydrate my skin during roaccutane with a powder and brush to soak up any oily patches. In addition, a useful infographic to help control oily skin can be found HERE. Having to rarely wash my hair on Roacctuane was definitely my favourite thing about being on the drug. As horrible as it sounds, my hair was so dry during treatment and it took a good few days for it to start looking dirty (which I found amazing!). After a month post-treatment, the dryness diminished and I'm back to washing it every second day. I did have problems with my weight whilst on Roaccutane. I've always had problems with maintaining a healthy weight and I found the drug made me lose my appetite during treatment. I lost half a stone (weighed 7 stone), my hair began to fall out and my periods completely stopped during treatment. 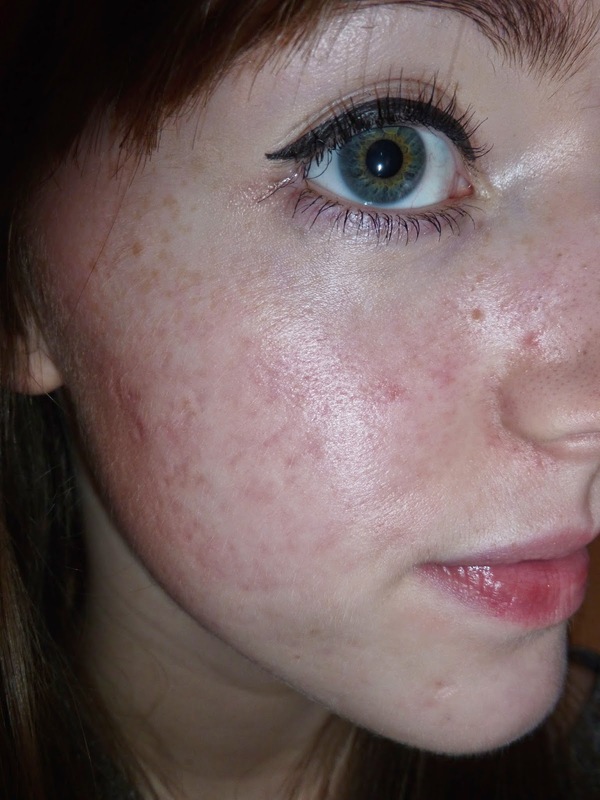 This was definitely my most frightening experience whilst taking Roaccutane. But, I have to point out, hair loss and your periods stopping can happen to anyone who is underweight, it is hard to establish if Roaccutane was a contributing factor. 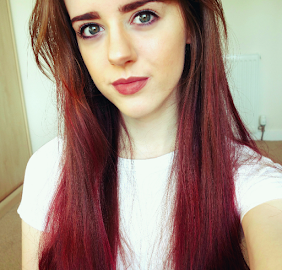 Six months post-treatment and I've managed to gain almost a stone, my hair is no longer falling out and I have my periods again. As far as breakouts go, my skin was completely free from breakouts for the first 3 months post-treatment. As my periods came back, so did the hormonal breakouts. Thankfully, I will only get a few pimples on my chin during that time of the month, which only tend to last for a couple of days. I'm absolutely ecstatic with how my skin looks today. I thought my skin wouldn't improve any more once I had finished treatment, but it has improved so much during the past six months! According to my dermatologist, Roaccutane is still in your system for up to two years after treatment, which is why women are advised not to get pregnant during this time. I was also advised not to do anything drastic to my skin, like any harsh exfoliation or chemical peels, until I was off the drug for at least 6 months. I can completely understand why, because my skin has healed and improved so much since I completed my treatment. My skin is not 100% perfect, however I am so pleased with the results and my confidence has improved so much since my skin has cleared. I'm currently in contact with my local skin clinic who suggested a set of chemical peels which would improve the overall appearance of my skin and increase the turnover of skin cells to get rid of any red marks I have left over. It is definitely something I am considering, however at £300 for a set of peels, I will be researching thoroughly before I spend that much money on my skin! Otherwise, after a matter of time, I'm positive my scars will fade eventually. 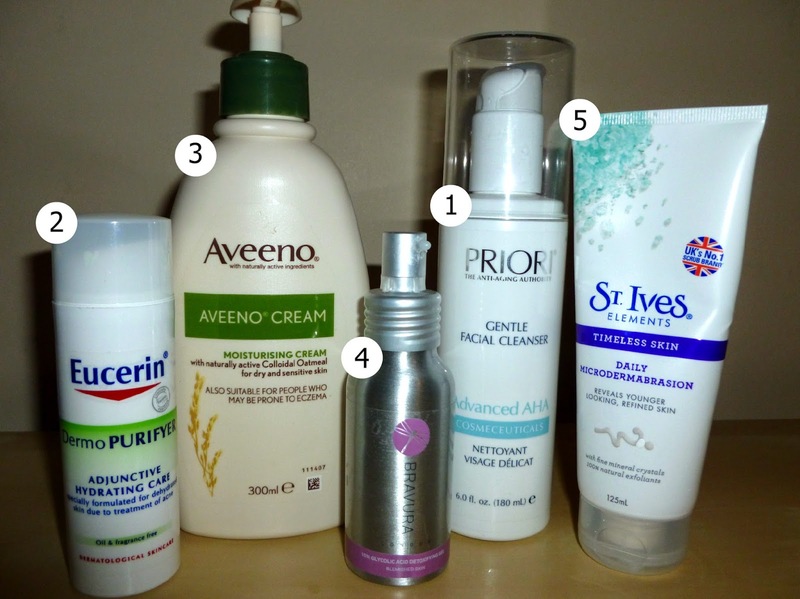 My skin care routine has changed considerably 6 months after Roaccutane, however I still use some of the products recommended to me during treatment. As my main focus is to remove my acne scars, I use products tailored to help achieve so. 1. Priori Advanced AHA Gentle Facial Cleanser - I use this every morning and evening to cleanse my face. It contains Alpha Hydroxy Acids (AHA's) which moisturise and remove dead skin cells to help reduce the appearance of acne scars. I'm really happy with this product as it makes my face feel thoroughly cleansed and doesn't break me out. 2. Eucerin DermoPURIFYER Adjunctive Hydrating Care Moisturiser - I discovered this during treatment and found it was the only moisturiser that really hydrated my skin and was an excellent makeup base, so I still use it every morning. It's really important to use an SPF every day, even if it isn't sunny outside. This product is great as it has SPF 30 and is oil free. 3. Aveeno Cream - I continue to use this product every night as I find it is thick and really moisturises my skin thoroughly whilst I'm sleeping. I buy the big 300ml bottles with the pump dispenser as they tend to last a good 3-4 months. 4. Bravura London Glycolic Acid Detoxifying Gel - This gel contains 15% glycolic acid, an AHA which increases cell turnover to remove dead skin cells, and Aloe Vera which acts as an antiseptic to heal the skin. I use this every evening after washing my face, let it sink in for half an hour, then apply moisturiser on top. 5. St Ives Timeless Skin Daily Microdermabrasion - I'm slowly starting to incorporate more exfoliating products into my skincare routine, so I'm only using this face scrub once a week just now. It has a gloopy texture compared to the other creamier scrubs St Ives have, but I find it is effective to smoothen out any rough areas of skin, especially blackheads around the nose. Dealing with acne was definitely one of the hardest times of my life and I completely sympathise with anyone going through it today. 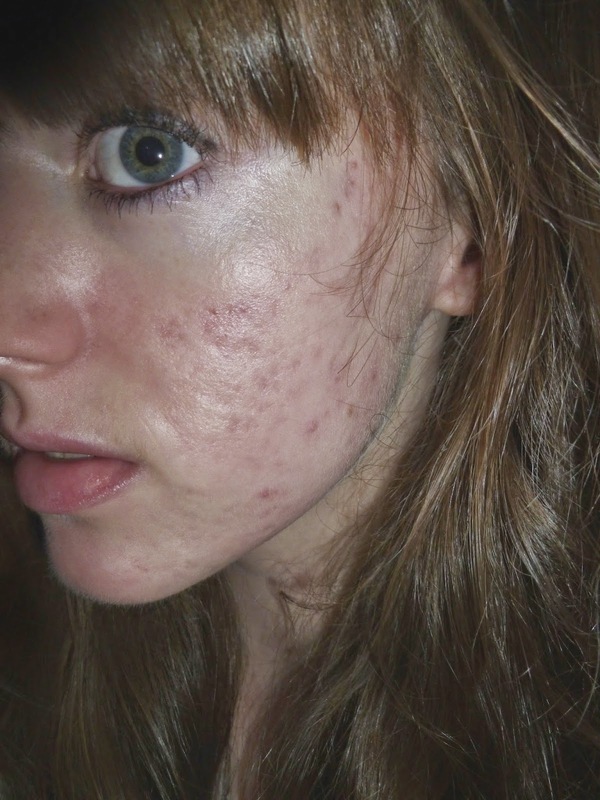 I'm incredibly lucky that my skin cleared with a course of Roaccutane, however there are lots of different options to treat acne besides Roaccutane. Pop in to see a Pharmacist or your GP if you are at all concerned about acne.